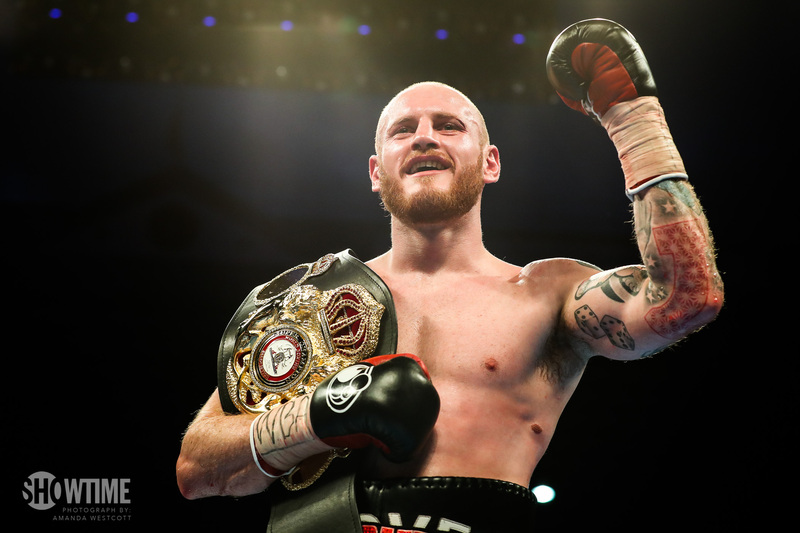 George Groves 28-3 (20) has been given 10 days to prove he is fit enough to face Callum Smith 24-0 (17) in the World Boxing Super Series (WBSS) final with former victim Chris Eubank Jr firming as his replacement if he doesn’t pass his medical tests. Promoter Kalle Sauerland has given the 30-year-old Londoner the deadline after the number one seed in the super middleweight tournament suffered a dislocated shoulder in his semi-final win over Eubank Jr in February. “We are waiting for the final discussions and reports from George before we know whether he will be able to make the timeline of the final,” Sauerland exclusively told Sky Sports. “The final will be before the summer break and not after. That’s the tournament structure that has been in place since day one. “We will stretch as far as we possibly can but the tournament structure will always be precedent. In 10 days we will make an announcement on whether George is in the final or not. “We’re looking for all kinds of solution if it isn’t possible with George. If we need a replacement then I would look for a solution from within the tournament so Eubank Jr is a name that would come up. WBA super middleweight champion Groves gave Jamie Cox his first career loss with a body shot KO in the fourth round last October to progress to the semi-final against rival Eubank Jr. who he defeated by unanimous decision. The path to the final for Liverpool’s Smith, 28, came via a unanimous decision win over Sweden’s Erik Skoglund 26-1 (12) in the quarter-final last September and another UD against Dutchman Nieky Holzken 14-1 (11) in the semi-final in February. Holzken was a late replacement for German veteran Jurgen Braehmer 49-3 (35) who withdrew with an illness a few days before the fight.